Bethesda 365 » Day 199: Take the plunge! Day 199: Take the plunge! 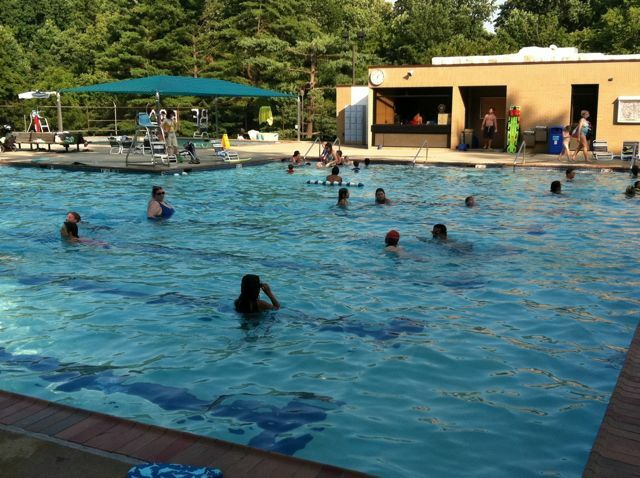 It’s been awhile since I visited the Bethesda Community Pool located at Little Falls Parkway and Hillandale Road near the Capital Crescent Trail. 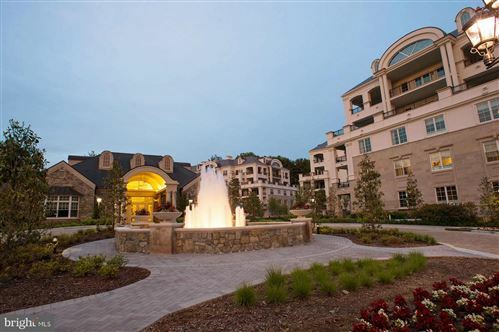 I used to live in the Kenwood Forest townhome community nearby and take my older girls here all the time. Late one afternoon last week I visited the pool with my youngest son. We had a blast. Since the last time I visited they’ve built an entirely new six-lane 25 meter lap pool on the property. The main pool is in the shape of a “Z” and features a 50 meter long course and a shorter 25 meter course that goes into the well of the diving area. The diving area includes a large slide. My son is not quite able to handle the deep-end yet so, to much disappointment, he has to wait probably until next year before he can give the slide a try. The pool is open weekdays 1:00 – 8:00 p.m. and weekends 12 noon to 8:00 p.m. Did you have a paper route as a child? If so they have an “early bird lap swim” from 8:30 a.m. to 10:30 a.m. Not that early really. The pool features a pool house with his and hers entrances. First you have to check in with the staff and there are numerous options for paying to use the pool. The easiest way to enter the pool is with a pool pass. Click here to apply. You have to be a Montgomery County resident to apply (and yes they will verify residency) and a Family Pass for up to four people is $275 ($20 each person thereafter) for the season. A couple can get a “Pair” pass for $240. There is no gender requirement for a couple you just need to reside at the same address. An individual pass will set you back $195 and seniors get $20 off that. A senior couple gets in for the summer for $230. Speaking of the senior rate, that begins at only 55! The older I get the younger 55 seems. Now maybe you’re like me and you just want to pay as you go. Each trip to the pool will cost $6 for an adult and $4 for a child; seniors at $4.50. If you come in after 5:30 for the “twilight” swim the cost is reduced by 50¢ to $1.00. As if that was not enough, you can also get a “P12 Card” good for 12 visits for the price of 10. If all this is confusing just call the pool at (301) 652-1598. I’m surprised the County has not yet developed an iPhone app for all this! This entry was posted on Tuesday, July 19th, 2011 at 10:32 pm and is filed under Kid's Stuff, Shops & Businesses. You can follow any responses to this entry through the RSS 2.0 feed. You can leave a response, or trackback from your own site.